The purpose of writing a business plan when you start a business goes further than simply roadmapping your future. As your venture grows, it acts as a comprehensive and established resource to help you evaluate whether you’re meeting your goals and staying true to your vision. 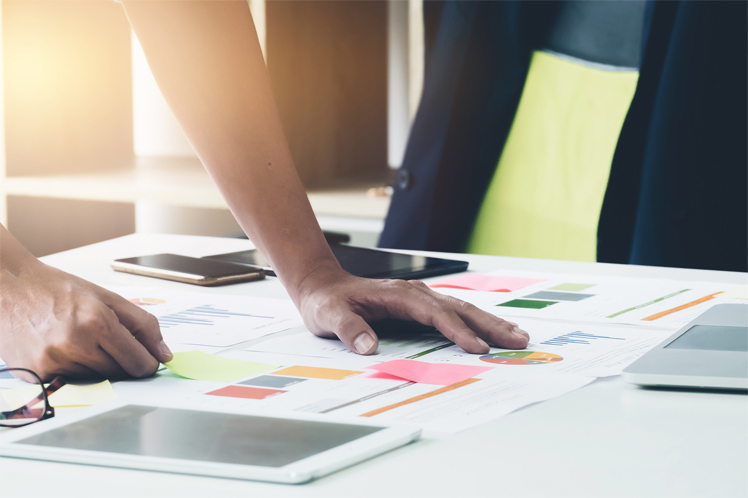 With the first quarter of 2019 in full swing and the end of the 2018/19 financial year in sight, now is a sensible time to reflect on your business strategy and update your business plan. Doing this each year around the same date will help you stay competitive and maintain a healthy cash flow. Whilst an annual review reveals the big picture from every angle, monthly reviews help you focus on what needs to be improved day-to-day. It’s like seeing a doctor once a year and trying to recall changes in your health for that whole time, versus going in for regular check-ups. You should also update your business plan is if something major happens to your business or within your industry, like a change of location or the bankruptcy of your main competitor. Whilst big events might demand rewriting whole sections of your business plan, you’ll be updating, adapting and expanding specific targets for the most part. Here are the steps involved in updating your business plan so that it’s ready for the 12 months ahead. Previous versions should be filed rather than overwritten, so that you always have a record of your progress year-on-year. Nobody is more important to your future cash flow and growth than your customers. You might already be having casual conversations about prices, products and competitors across the counter, but there are more effective ways to understand what customers — and their behaviours — are trying to tell you. Digital receipts can be used to request feedback from customers. This allows you to dive into more focused discussions about your performance and their loyalty away from the public arena of social media or review sites. Analyse sales data from your integrated point-of-sale system to see what products or services are performing best and which keep going out of stock. A point-of-sale system that lets you see sales down to the individual level through a customer directory, will help you understand even more so if your core audience are who you thought they were, if their buying habits have changed and so on. With these insights, you can begin to re-evaluate your business proposition, product offering and pricing strategy. What are your customers are buying most and what problems you’re helping them solve? What they want and how your value proposition responds to that desire are important points to emphasise in your plan. Your point-of-sale system can also be used to analyse sales results from past years and compare these with what you projected in your business plan originally. With your average sales performance, month-to-month visualised as a graph, track this line forward along the same path — this is a basic projection for the coming year. Take note of how seasonality or other influences affected sales at different points, and remember to take these into consideration in your projections. What events in 2019 could cause other fluctuations? Once you’ve thought through potential sales opportunities and threats, you can then update your business plan with the numbers. Your team are likely to be aware of areas in the business that are in need of extra resource. Perhaps they’ve noticed long queues deterring customers, or a backlog of unanswered customer service emails, indicating the need for a hiring boost or a staff restructure. They will also be able to give you insight into which systems are working, what products people always give positive feedback on and how they feel the business has progressed through the year. Increased cash flow is likely to remain your biggest focus as a small business. What strategies in your last business plan succeeded or failed in delivering this? And how do your 2019 plans affect the size of the budget that you’ll need? Changes like growing your team, opening a new location or launching a new product will all affect how much money you’ll spend and therefore how much you need to have in the bank.